John Amos, President: John is an expert in the use of satellite images and other remote sensing data to understand and communicate local, regional and global environmental issues. Educated as a geologist (University of Wyoming – MS, Cornell University – BS) he spent 10 years applying image processing, image analysis, and digital mapping techniques to conduct environmental, exploration and resource assessment studies for the energy and mining industries and government entities. In 2001 John founded SkyTruth, a nonprofit 501(c)(3) organization dedicated to strengthening environmental conservation by illuminating environmental problems and issues through the use of satellite images, aerial photographs, and other kinds of remote sensing and digital mapping. As President he develops organizational strategy and partnerships, mentors technical staff, and provides remote sensing expertise as needed. He also serves on the board of Global Fishing Watch, a nonprofit organization formed by SkyTruth, Oceana and Google. Prior to founding SkyTruth, John worked as an exploration geologist for Advanced Resources International and Earth Satellite Corporation. 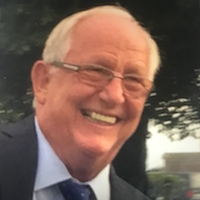 Walter Ailes: Walter is a retired educator and school administrator with a career in Washington, DC, private schools that spanned nearly 50 years. He worked at the Georgetown Day School for 34 years, starting in physical education and classroom teaching and eventually moving into the school’s administration, focusing on financial operations and general management issues. For his final last twenty years at GDS, he was the Assistant Head of School and continued to teach in the senior elective program. In 1998, Walter became the Assistant Head of the Edmund Burke School during the transition of the Founder’s retirement and the hiring of a new Head of School. His portfolio as Assistant Head included supporting the transition efforts, managing financial operations, and helping to lead the school through the major effort to identify property, acquire land, design a the facility, apply for zoning, and to secure funding for the school. He taught in the Burke senior elective program during his seven years at the school. From 2005-2007, Walter was a consultant for the City Collegiate Charter School and worked part time for the Parkmont School assisting the Head in financial matters. Walter subsequently was hired by the Lowell School as the Director of Finance and Operations for the 2007–2008 academic year. Walter assisted the school and the new Head in developing a strategic plan which included the expansion of the program and significant renovation to existing facilities. Walter retired from the Lowell School in June of 2010. Since his retirement, Walter has split his time between his farm in Berkeley County, WV, and Santa Barbara, CA, along with a few miles on airplanes to other parts of the world. For the past three years, he has also consulted for the Paideia School in Atlanta, GA, where his grandson is now a student. 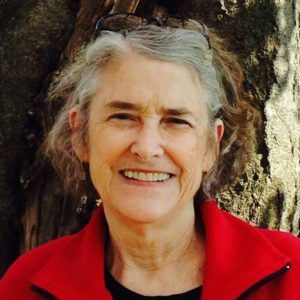 Mary Anne Hitt: Mary Anne Hitt directs the Sierra Club’s Beyond Coal Campaign, which has been recognized as one of the most successful environmental campaigns in history. Working with partners across the nation, the campaign has blocked the construction of 200 proposed US coal plants, secured retirement of over half of existing US coal plants, and helped usher in the clean energy era. Mary Anne was listed in 2015 as one of the POLITICO 50, POLITICO’s list of the top thinkers, doers and visionaries transforming American politics. She has made numerous media appearances ranging from Good Morning America to National Public Radio, and was featured in the National Geographic film From the Ashes and their Emmy-winning series Years of Living Dangerously. 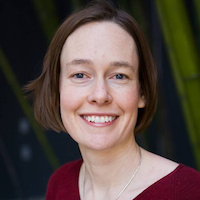 She is also co-host of the climate storytelling podcast No Place Like Home. 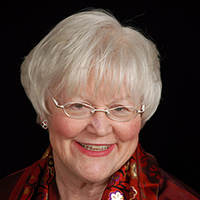 Mary Anne previously served as the executive director of several grassroots organizations, including Appalachian Voices. She received her Master’s of Science from the University of Montana and her Bachelor’s degree from the University of Tennessee, where she later received the 2008 Notable UT Woman Award. She grew up in the mountains of east Tennessee and now lives with in West Virginia with her family. Catherine Irwin, Secretary: Catherine brings over 30 years of experience in nonprofit management to the board of SkyTruth, particularly in the areas of governance and engagement, fiscal oversight and fundraising. She is recognized for her administrative leadership of the Contemporary American Theater Festival (CATF), one our country’s leading new play development theaters. Prior to moving to West Virginia Catherine was the Director of Development at Arena Stage in Washington, DC, raising $3 million in contributed income annually. She was also the Managing Director of the Living Stage Theater Company, the outreach program of Arena Stage. Catherine has also dedicated herself to volunteer service, working with a wide variety of national and community non-profits whose missions reflect her strong commitment to social justice. Locally, Catherine is on the board of Shepherdstown Area Independent Living (SAIL), an organization serving seniors who wish to continue to live independently. She also serves on the board of the Westminster Foundation, which supports Presbyterian university students across West Virginia. She has served on the board of the American Conservation Film Festival (ACFF). Darshan Karwat: Darshan is an assistant professor with a joint appointment in the School for the Future of Innovation in Society and The Polytechnic School at Arizona State University, where he runs re-Engineered, an interdisciplinary group that embeds peace, social justice, and environmental protection in engineering. 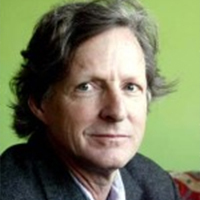 He leads projects on addressing the engineering, science, and technical needs of environmental, energy, and climate justice communities across the US, on developing new methods to increase and deepen community participation in energy transitions, on generating public dialogues on the social responsibility of engineers, and on creating new ways to guide engineering students into careers that center the social good. He teaches classes on climate change, energy systems, and social justice; the politics of science and engineering; re-imagining environmental and sustainability governance; and fluid dynamics. He’s excited to be on the board of SkyTruth since he’s an aerospace engineer by training (specializing in gas dynamics and combustion), and he has been wanting to re-engage in space system-based work, because space and rockets and satellites were his first love, apart from soccer. Before ASU, he spent three years as a AAAS Fellow in Washington, D.C., first at the U.S. Environmental Protection Agency on the Innovation Team, where he worked on climate change resilience and low-cost air pollution sensors, and then at the U.S. Department of Energy in the Water Power Technologies Office, helping design and run the Wave Energy Prize. He is originally from Mumbai, India, but feels equally at home in Michigan or Washington, D.C. (and now, Arizona!). 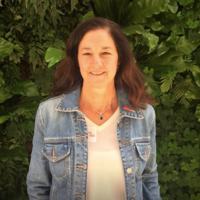 Susan Coady Kemnitzer, Treasurer: Ms. Kemnitzer recently retired from a long career in leadership positions in science and natural resource management organizations. Most recently she served as Deputy Director of the Chemical, Bioengineering, Environmental and Transport System Division of the National Science Foundation Directorate for Engineering. As a member of the Senior Executive Service, Ms. Kemnitzer managed an annual portfolio of over $400 million of grants which explore the most innovative multidisciplinary research and education. Her goal has always been to discover new knowledge but more importantly to develop the next generation of engineering researchers, inventors, innovators and entrepreneurs. In her earlier National Science Foundation career, Ms. Kemnitzer co-authored the first three Science and Engineering Indicators Reports, the highly esteemed and widely used assessment of the state of the science and engineering research and education. Ms. Kemnitzer also served as a Budget Examiner in the Office of Management and Budget in the Executive Office of the President. She recommended budget and legislative policy for the science and natural resource agencies, prepared the President’s annual budget request to the Congress and negotiated the Administration’s position on legislation. Most notably she led the administration’s efforts to establish 140 million acres of new parks, wildlife refuges and wilderness areas in Alaska. She joined the Department of the Interior as Special Assistant to the Secretary to carry through on these Administration policies and to complete implementation of the Alaska Statehood Act and the Alaska Native Claims Settlement Act. Ms. Kemnitzer is also proud to be on the team which founded the AmeriCorps programs in 1993 and her follow on leadership to establish service learning programs at over 50 major engineering schools in the U.S. She also served for 15 years on the National Environmental Education Foundation Board, a public-private partnership devoted to environmental education which administers National Public Lands Day. Ms. Kemnitzer also accomplishes much through her volunteer work. She is Chair of the Corporation of Shepherdstown Water and Waste Water Utilities which recently built the first waste water treatment plant in West Virginia which meets the Chesapeake Bay Clean Water Blueprint, an agreement of the six states which are in the Chesapeake Bay watershed. She is a strong friend of the American Conservation Film Festival, especially the new Emerging Filmmaker Fund. She served on the board of the Contemporary American Theater Festival for nine years. Ms. Kemnitzer is honored to be a member of the board of SkyTruth. Monica Medina: Independent consultant based in Washington, D.C. Medina is also an Adjunct Professor in the School of Foreign Service at Georgetown University. She recently served as the Deputy Director of the Environment Program and a Senior Fellow at the Walton Family Foundation. Prior to joining the Walton Family Foundation, Medina was the Senior Director of Ocean Policy at the National Geographic Society. From 2012-2013, Ms. Medina served as Special Assistant to the Secretary of Defense. Previously, Ms. Medina served as the Principal Deputy Undersecretary of Commerce for Oceans and Atmosphere at the National Oceanic and Atmospheric Administration, where she led efforts on Arctic conservation, and restoration of the Gulf of Mexico after the Deepwater Horizon oil spill. Ms. Medina has worked for nearly thirty years at the intersection of law and policy in Washington, D.C. She is a member of the Council on Foreign Relations. She attended Georgetown University on an Army R.O.T.C. scholarship, and began her legal career on active duty in the Honor’s Program of the Army General Counsel’s office. For her service in the Army, Ms. Medina was awarded an Army Commendation Medal in 1989, and a Meritorious Service Medal in 1990. In 2013, Secretary of Defense Leon Panetta awarded Ms. Medina the Department of Defense Distinguished Public Service Medal. Barbara Morgan: Barbara Morgan taught indoors and outdoors at public schools for 24 years, and trained with the crew of the space shuttle Challenger as backup to Teacher-in-Space Christa McAuliffe. 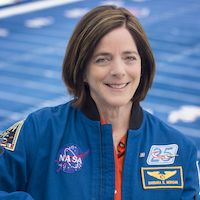 She served as a NASA Astronaut for 10 years and flew on a construction mission to the International Space Station, before retiring to become Boise State University’s Distinguished Educator in Residence (now emeritus). Barbara’s experiences in education and viewing the Earth from orbit strengthened her belief that policy makers and the public need meaningful access to evidence observed and gathered from space in order to protect our environment. Stephen J. Paradis: Throughout his career, Steve has taken on new and nontraditional roles in organizations facing change. As the chief operating officer of the Appalachian Trail Conservancy, he redefined the role staff played in daily management of the Trail, successfully positioning the organization for a transition in senior management and board development. By emphasizing communication and synthesis of information across traditional departmental boundaries, he built a senior management team that identified and exploited opportunities to optimize organizational capacity. In the for-profit sector, Steve has experience working with entrepreneurs and early stage companies in energy and sensor design. 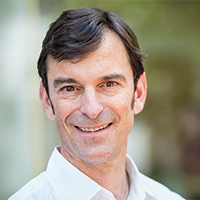 At Hewlett Packard, he led a global supply chain initiative to improve responsiveness to customer demand and rapid change in supplier technology. His work in the forest products industry resulted in U.S. patents for power boiler safety systems. Steve currently serves as an elected council member for the town of Bolivar, WV, and president of the town’s planning commission. He is a board member of the Potomac Valley Audubon Society and a past board member of various other outdoor organizations. He hiked the 2,000 mile Appalachian Trail and has contributed as a volunteer to help maintain and preserve the Trail and its associated lands. Steve holds Masters and Bachelors of Science degrees in mechanical engineering from M.I.T. and an M.B.A. from Stanford University. 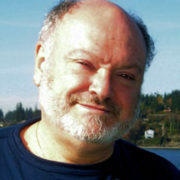 Alan Septoff: Alan joined Earthworks in July 1997 from the National Academy of Sciences. 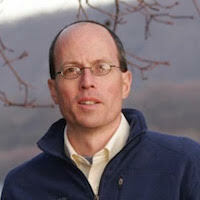 He became Policy Director in 1999, Research & Information Systems Director in 2001, and Communications Director in 2013. Alan has played key roles in many of Earthworks’ successes, including improving federal public lands mining regulations, the No Dirty Gold campaign’s efforts to embarrass the jewelry retailers into committing to more responsibly sourced metals, and working with local groups to pass Texas’s first municipal fracking ban. 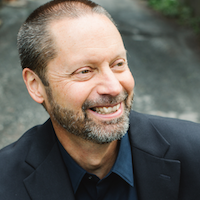 He leads Earthworks online and media outreach in pursuit of all organizational campaign goals. He holds masters degrees in Environmental Science and Public Affairs from Indiana University’s School of Public and Environmental Affairs. 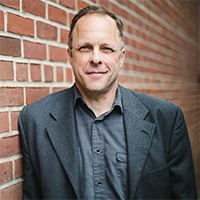 Dr. David Shearer, Chair: Shearer is co-founder and CEO of Full Circle Biochar, a for-profit enterprise that is developing biochar products for global agricultural and carbon sequestration applications. At Full Circle Biochar, he is co-leading product and market development plans for gigaton scale carbon sequestration. Prior to launching Full Circle Biochar in 2008, Dr. Shearer was Chief Scientist at California Environmental Associates where he worked primarily with Toyota in the next generation transportation, energy, carbon mitigation, and information technology space. In 2006/2007, he collaborated with Google.org in evaluating next generation plug-in hybrid vehicles (PHEV) and implementing a PHEV demonstration program. During the same time period, Dr. Shearer provided technical and policy guidance for Design to Win, a foundation based initiative that is creating a 10 year map for philanthropic investment in climate change mitigation and adaptation under the umbrella of ClimateWorks Foundation. Before joining California Environmental Associates in 2001, David was Principal Environmental Scientist for AeroVironment Inc. (1990-2001). He currently serves on the board of directors for SkyTruth and Black Rock Solar, both non-profit organizations. He is a member of the technical advisory boards for the Bay School of San Francisco, the Lindbergh Foundation, and As You Sow. He holds a Ph.D. in environmental epidemiology from the University of California, Irvine, an M.S. in environmental microbiology from the University of California, Irvine, and a B.S. in biology from the University of Oregon. Paul Woods is a software engineer and a veteran of several Washington DC area startup software ventures. He joined SkyTruth in 2011 after the Deepwater Horizon oil spill and helped SkyTruth to build a dedicated team of inspired technologists who are committed to using remote sensing, big data and cloud computing to promote better environmental conservation around the world. In 2015, he led the Global Fishing Watch project team, and in 2017 he became the CTO of the newly formed company that was spun off by the founding partners. Paul continues to consult with SkyTruth and work closely with the SkyTruth technical team. John Bresland (2013-2018): John is a Research Fellow at the Mary Kay O’Connor Process Safety Center of Texas A&M University. He is also President of Process Safety Risk Assessment LLC, Shepherdstown, West Virginia, a consulting company focusing on the chemical and energy sectors. In 2002 he was nominated by President George W. Bush and confirmed by the U.S. Senate to serve a five year term as a Board Member of the U.S. Chemical Safety and Hazard Investigation Board. 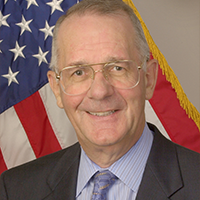 In July 2007 President Bush nominated him for a 5 year term as the Chairman of the Chemical Safety Board. He served as Chairman from March, 2008 until June 2010. He resigned from the Chemical Safety Board on August 31, 2012. From 1966 to 2000 he worked for Honeywell International Inc. (formerly AlliedSignal Inc.) in West Virginia, Pennsylvania, Virginia and New Jersey. He held positions in process engineering, environmental compliance, project management and manufacturing. He is a member of the American Institute of Chemical Engineers, the American Chemical Society, the Institute of Chemical Engineers and a Fellow of the Royal Society of Chemistry. John holds chemistry degrees from Londonderry Technical College, Northern Ireland and Salford University, England. 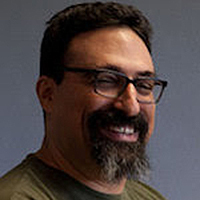 David Campagna (2001-2004): Dr. Campagna played a fundamental role in launching SkyTruth, helping develop the concept with John in the late 1990s and providing guidance as a founding board member. A PhD geologist, he conducted the first satellite-based analysis of the “footprint” of mountaintop mining in Appalachia, work we continue to build on. These days, David is General Manager of unconventional energy exploration at Nexen Energy. 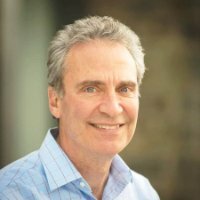 David Festa (2001-2017): David was the founding chair of SkyTruth, and served on the board from our incorporation in 2001 through 2017. 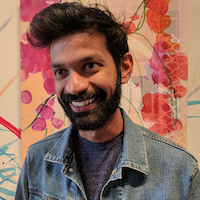 His experience as a young correspondent with The Economist, enthusiastic policy director in the Department of Commerce, and seasoned program-builder at Environmental Defense Fund brought valuable insights and connections to SkyTruth as we evolved together. All of this sprang from many conversations John and David had as friends and neighbors. Throughout his “official” time with SkyTruth, David has been an unabashed enthusiast of the work we do — and an exemplar of commitment to the mission and vision. Elliott Norse (2001-2015): Dr. Norse, founding board member and enthusiastic advocate for SkyTruth, was the first spiritual leader of SkyTruth, always reminding us why we do what we do: to promote protection of the environment that sustains us. Elliott’s inspiration as founder and CEO of the Marine Conservation Institute, and as passionate advocate for conservation, continues to motivate us all — even as he continues to nurture life on planet Earth, cultivating both garden and grandchildren. 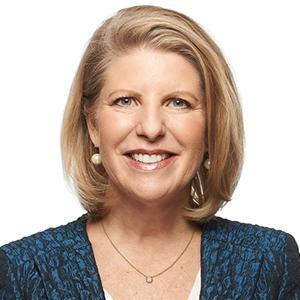 Vikki Spruill (2002-2012): Ms. Spruill served on our board for ten years as a consistently calm and strong voice of reason with unwavering dedication to SkyTruth’s value proposition and mission. Vikki steered a steady course for us through the whirlwind months and turbulent aftermath of the BP / Deepwater Horizon oil spill while she was also busy at the helm of The Ocean Conservancy. She’s the former CEO of the Council on Foundations and is currently the President and CEO of the New England Aquarium.